A generic shift in business paradigm over the years has witnessed the role of storage and computation to empower the magnitude and intensity of the business modules. Talking about storage, we all are aware of the data warehousing concept that provides the businesses with the capability of slicing and dicing data to extract valuable insights from them so as to help in making a precise and wise business decision. Additionally, data warehouse acts as a central repository for all the data collected by any enterprise through various internal and external source. It helps in reporting and data analysis. Since data warehouse feeds on data provided by different sources and mediums including the relational database, NoSQL databases or third-party APIs, the quotient of ambiguous data is exceptionally high. Thus, all the collected data needs to be combined into one single coherent data set and is optimized to deliver quick solutions for critical database queries. Earlier, the data warehouse was available only as on-premise solutions, which are mostly appliance-based, that made data warehouse difficult to expand. Observing the market needs, Amazon cloud services came up with a fast and scalable data warehouse solution, referred as Amazon Redshift that is capable to manage big data volumes while still using familiar models such as SQL and relational DBs. Amazon Redshift is a simple and cost-effective data warehouse solution that analyses all the user data across their on-premise data warehouses and data lakes. Capable of delivering ten times the faster performances than the traditional ones, Amazon Redshift embraces the power of machine learning, massive parallel query execution, and columnar storage on a high-performance disk. Now users can easily setup and deploy a new data warehouse in few minutes, and run queries across petabytes of data in Redshift data warehouse and exabyte of data in their data lake built upon Amazon S3. In this post, we will unveil the benefits, features and recent announcements of Amazon Redshift. Faster Performance: Using machine learning, parallel architecture, and compute-optimized hardware, Amazon Redshift delivers ten times better and faster performance to generate high throughputs and sub-second response times. There is very less time waiting and more time gaining insights from the analyzed data using Amazon Redshift. Cost-effective: Amazon Redshift is the most cost-effective cloud data warehouse solution with cost estimation approx. one-tenth of the traditional warehouses on premise. There are no hidden charges, users only pay what they use. From cost as low as 0.25$per hour with no commitments to $250 per terabyte per annum, customers can scale Amazon Redshift easily. Easy Setup, Deployment, and Management: Amazon Redshift is by far the most simple and easy to use data warehouse that helps users to deploy a new data warehouse within a few minutes. Some of the most common administrative tasks to manage, monitor, and scale the data warehouse can be automated very easily through Amazon Redshift. This sets the users free from the complexities of managing on-premise data warehouse. Scalable: Amazon Redshift includes benefits of scaling the queries from gigabytes to an exabyte of data across the user’s database and Amazon S3 data lake to help them quickly analyze any size of data in S3 without undergoing any loading or Extract-Transform-Load (ETL) procedure. It helps in resizing the Redshift cluster with just a few clicks on the console or a simple API call very easily. As per the requirements, the user can scale the Redshift up and down. Secure: A lot of large enterprises and organizations such as financial services, healthcare, and retail and government entities run their critical workloads on Amazon Redshift smoothly. It includes database encryption using AWS Key Management Service (KMS) or AWS cloud-based Hardware Security Model (HSM). The clusters can even be isolated using Amazon Virtual Private Cloud (VPC). Redshift is also manageable with SOC1, SOC2, SOC3, PCI DSS Level 1 requirements, and FedRAMP. Short-Query Acceleration: One of the benefits of Amazon Redshift is that the users can extend their data warehouse to data lake. This helps the users to gain detail insight of the data that could not be obtained by just querying independent data silos. Using Redshift Spectrum users can directly query open data formats stored in Amazon S3. This unique feature helps Redshift query data without the need for unnecessary data movement. This enables the users to analyze data across the data warehouse and data lake together with just one service. 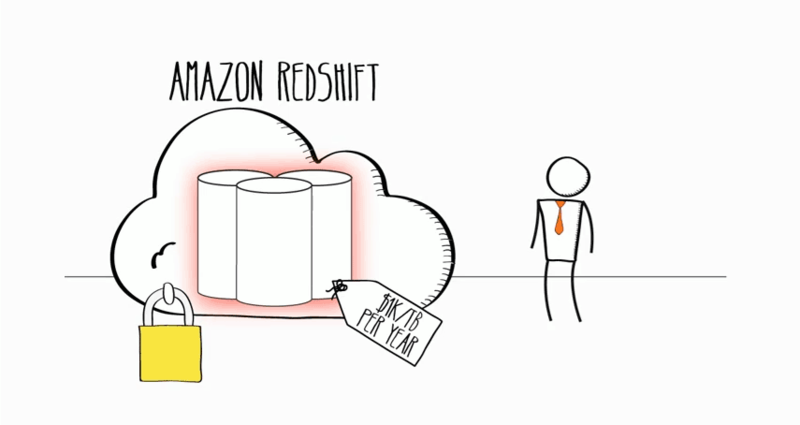 Redshift is a great PaaS offering for data warehousing from Amazon Web Services. If you are also looking for such warehouse service provider, you can reach i2k2 Networks, an advanced level partner of AWS with various options open to massive parallel computing and affordable storage. You can contact us at +91-120-466-3031| +91-971-177-4040 or can drop a mail at sales@i2k2.com and share your queries regarding AWS cloud consulting services or AWS cloud support.